In Singapore there aren’t many cake shops that actually can make it. It’s so limited, that whenever a promising one appears, everybody would know. Chef Yamashita is new but the chef himself is not new to the local pastry scene. Everyone who is serious about pastries would have heard about the chef and loyal fans have followed from Glace to Flor and now Chef Yamashita. I am particularly interested in this shop because I happen to be a prefer French-Japanese pastries over classic style cakes. I was afraid of my cakes going out of stock so I called a day ahead to reserve 7 pieces. These are for 3 and I do not think it’s too much. I eat cakes and pastries like staple food so it’s barely enough. As expected, most items were already sold out by the time I came to collect at about 5pm, so reservation was necessary. Creamy chestnut puree atop the layers of puff pastry in between the fresh cream & custard cream. There’s a similar version at Flor which I really loved but I loved this too. It can’t be compared to the Mille Feuille from Paris however, because this one isn’t assembled ala minute. The pastry did soak up the moisture and lost some crispy and flaky texture, but overall it still tasted good. I love anything chestnut! 2 layers of soft sponge with internal fresh cream & chocolate cream. Unfortunately I did not like this one. It just didn’t work. Just stick to regular strawberry shortcake with vanilla cream. Rich almond butter sponge with imported Japanese Apples. I am not a fan of this one either. I generally do not prefer rich butter sponge and prefer light airy sponges so this is not for me. However, if you like dense cakes this is good. Hand-made caramel pudding with custard cream & fresh cream. This was not bad. There was a light sponge below and the combination was good. However, the pudding seemed to be more for decorative purpose. 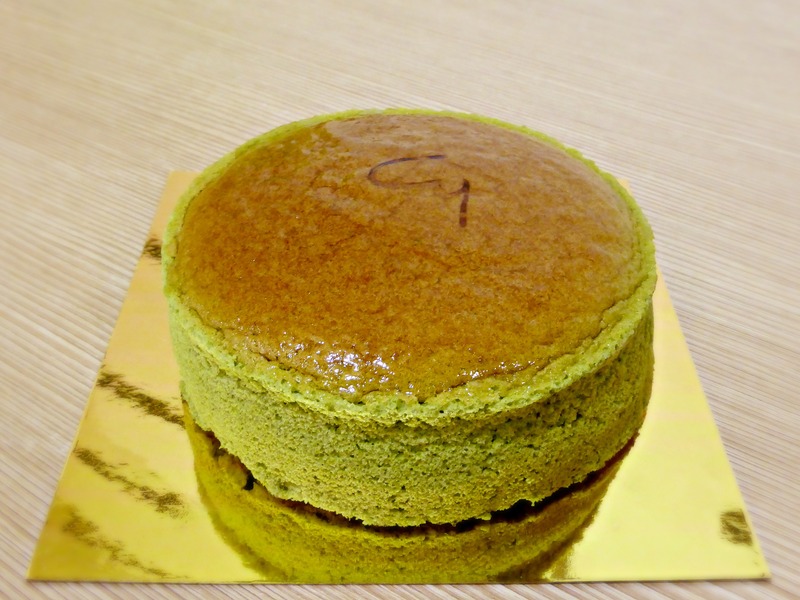 Soft & fluffy sponge wrapped with Kyoto green tea cream & Japanese red bean. This is a signature item to the new shop, that you will not find at predecessors. The sponge for the wrap was very light and soft but did not break. It was quite a novel item and I did like it mainly because I liked the flavour (matcha) I picked. It’s like how a good sandwhich must comprise of your favourite filling and good quality bread. Mont blanc chestnut cream atop with chocolate sponge & chestnuts. Personally, I feel chestnut cream will do better without chocolate sponge. It was nice, but not the best mont blanc out there. I preferred the Kuri Mille Feuille to this. Creamy green tea puree & sliced chestnuts atop the Green tea meringue role in with fresh cream & Japanese red bean. I saved the best for the last. This was THE BEST. Well I may be biased because I love matcha flavoured anything but who doesn’t? Not only was the flavour good, the texture was excellent and the combination was perfect. The cream was smooth while the meringue made it interestingly crunchy. This was the only item that didn’t overwhelm with sweetness after a while.I had a lot to eat, so after a while everything kinda tasted similar except this one. This one is a must try, followed by the Kuri Mille Feuille. Rich Chocolate sponge cake with walnut & chocolate cream. On my second time here, I tried something new. The first mouth of this wasn’t exactly pleasant because the cake was hard. Instead of sponge cake, it was more like a brownie to me. Once I was mentally prepared that this is a brownie, it was excellent. The chocolate was dark and rich, blending will with the sweeter chocolate cream. This item has limited stock, sold only on weekdays and pre-order is recommended. I pre-ordered online a day before (requesting to pay cash upon collection) and stated that I’ll be there at 1pm. I arrived around 12:35pm but it wasn’t ready. It is really made fresh! Around 1pm, the shop got really crowded. A batch of these just popped out of the oven and was ready to be packed. It was still warm when I collected it. This item was touted as their Chef’s signature and to be honest I did not really believe so initially. It’ just looks like an ordinary Japanese cheesecake to me. 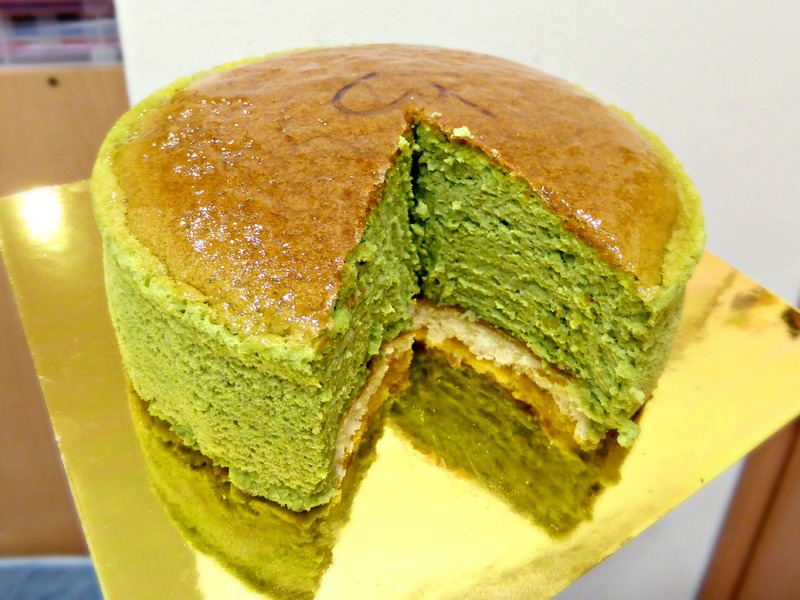 (Matcha is August’s special flavour). I did not really try any super memorable Japanese cheesecakes before, so I couldn’t really understand. However, I understood the moment I pierced my fork into the cake to cut a slice. It was incredibly soft like tofu, airy and very light. The texture was no where near dry – it was moist and wobbly inside, almost custard like. The taste was cheesy but not overwhelmingly (non cheese eaters may be able to take this!) and the matcha presence was strong. It was like having matcha soft serve at room temperature. If you love matcha you definitely got to try this! 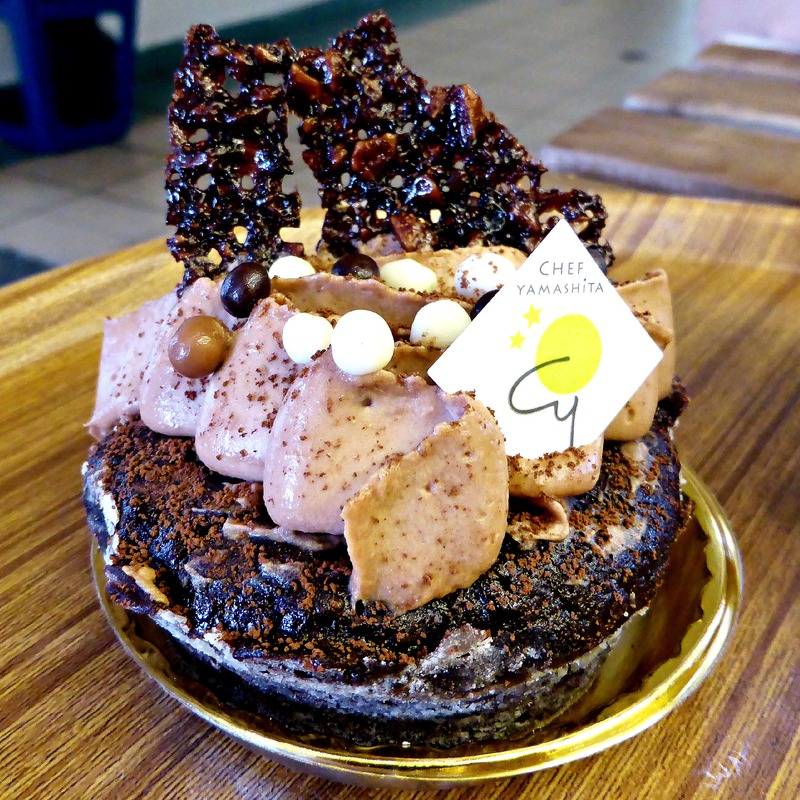 Overall: One of the best cakes in Singapore says me.